We reached Dubai by lunch time. While settling in the room, found that the water was leaving the wash basin very slowly. Called up the house keeping and a person came to set it right. My husband started talking to him and asked where we could get some simple food for lunch. I was glad that he was a Malayali and asked for any Kerala restaurant nearby. He said there were two good places at walking distance. One was Sara restaurant and the other was Oottupura. 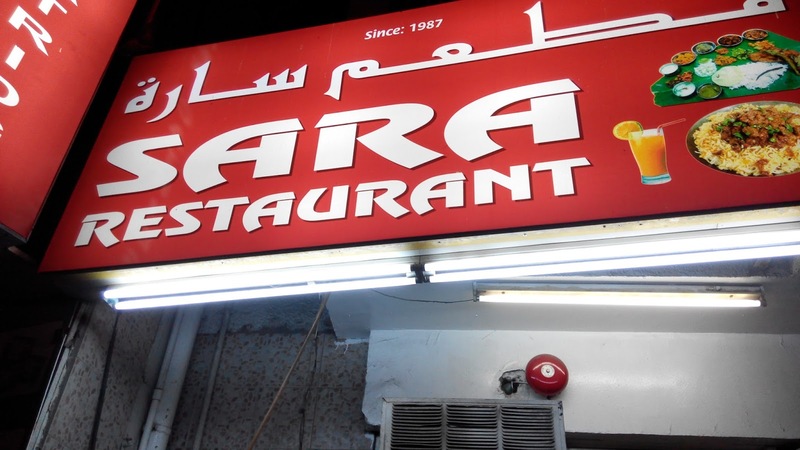 We went to Sara for lunch and I had egg roast and barotta. Wow, what a lunch it was! We saw the menu and I made a mental note of what all I had to try. Next day morning we had breakfast there and the appam and vegetable curry were delicious. I saw some adas (grated coconut and jaggery filled inside rice flour dough spread on a plantain leaf, folded and steamed) at the counter and asked my husband to get them packed for our lunch as we had to go for a meeting. They were so good that on the subsequent two days also we did the same thing. This time during my Kerala trip I had missed pazhampori (deep fried banana with maida covering), so I availed the opportunity to compensate that here. On the next day we went to the Oottupura restaurant and I got kappa biriyani (though they call it biriyani, it was just the tapioca cooked with some masala and then seasoned) and fish curry. I felt I was in Kerala having that heavenly food! Another day we ordered the vegetarian thali and got to enjoy a typical Kerala lunch. The puttu was made of parboiled rice flour and served with green gram dry sabzi. They had even kanji (rice porridge) and coconut chammanthi (dry chutney), which are my favourite, but we had only four days and the items that could be sampled were limited. Somehow, whatever dishes I had, I felt they had more authentic Kerala taste than what we get in Kerala hotels. My husband had an explanation: In Kerala they are trying to get other tastes, but here, the people miss their home towns and by cooking food the original way, they maintain their closeness to their native places!